4 What’s the total cost ? For most SMB’s it’s hard to find affordable inbound marketing solutions which suits their exact business requirements and are flexible enough to fully customize internal workflow requirements. In any inbound marketing solution, you want to have the flexibility to analyse and then act on the data you’re collecting to improve your business productivity and ultimately drive a higher number of sales without compromising on cost. The biggest struggle as a SMB is the pricing of these inbound marketing systems (anywhere upwards of $800+ pm) which many SMB owners would know just isn’t practical. 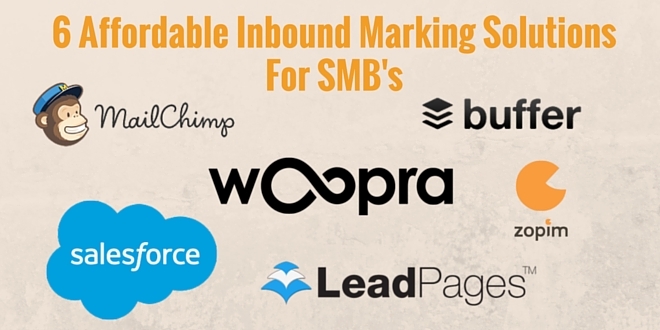 While i don’t disagree that inbound marketing systems such as Hubspot and Marketo are a perfect all-in-one solution, they are simply not always justifiable when your SMB has a low operating budget to work with. While these requirements may vary from business to business, there is a general rule of what data needs to be collected to drive inbound marketing and increase overall productivity levels. We’ve created a basic diagram to give a basic overview of how each of these systems can work for you in an affordable inbound marketing strategy. Now that we’ve discussed a basic premise and requirements, let’s have a look at what options are available which won’t break the budget and still give your business the inbound marketing systems which it truly deserves! Salesforce has become the key component in most businesses to manage existing customer and lead data. Out of all the CRM systems we’ve tested over the years, Salesforce has always come out a clear winner. While this is something we highly recommend, it’s not always for everyone due to it’s complex nature to setup and sometimes a bit of background in how to administer the system. One thing you can be sure of is if/when your SMB grows, Salesforce will continue to scale with your business. While the price for the enterprise edition is $125.00 p/m for one user, sometimes that is all which is needed to get started before your business begins to scale. Woopra is detailed visitor tracking tool we newly discovered while looking for a solution to setup notifications when a “hot lead” returns to our website. If you’re familiar with Google Analytics, you’ll know the struggles of sending PII (Personal Identifiable Information) to it’s platform – even if you could, what would you do with it ? 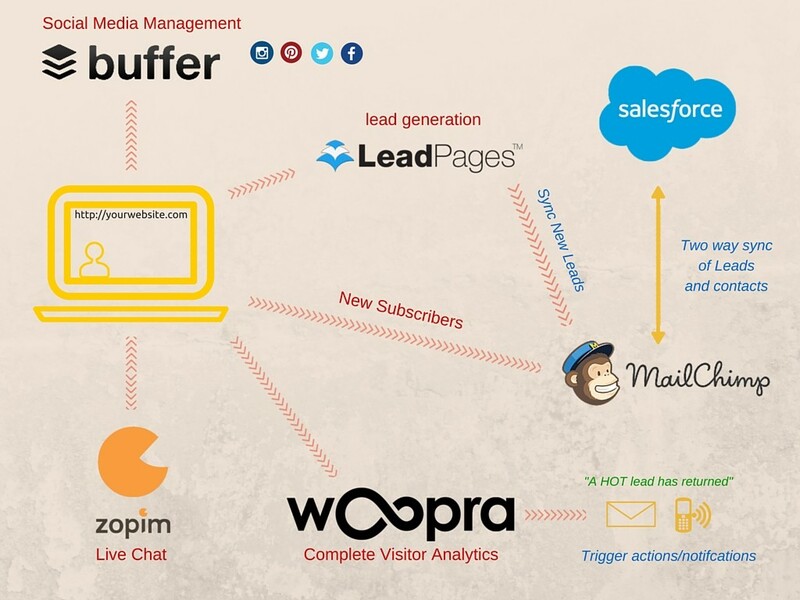 Woopra takes this visitor tracking to the next level by integrating itself into hundreds of cloud based systems. The visitor information you collect using Woopra can then be segmented to create alerts and some pretty cool reports on your users activity. Example: Let’s say you have a known customer return to your website and view the same product category multiple times in a single week. Rather than just knowing this, it’s time to act on it immediately. A trigger can be setup in Woopra to then send an email to a sales rep notifying them that our visitor has returned. Triggers and integration in Woopra are almost endless, but it is very much the “glue” in automating your inbound marketing systems. Woopra actually starts off free, and if you’re a SMB with less than 25k pageviews on your website per month, then it offers all the features without having to pay a cent – pretty cool! Everyone needs a subscriber based mailing system for their SMB, something which can easily be managed and doesn’t cost the world. while there are many others to choose from around the same price points, Mailchimp starts off as free for the first 500 subscribers and then steps up to $15.00 per month. When it comes to automating marketing workflows, you want to keep your email subscribers engaged and then re-engaged depending on their response to emails you’re sending. Mailchimps automated workflows (Drip campaigns) are a simple and perfect way to start the process of engaging with your customers without having to write email content every single week. Example: Let’s say you have a visitor who makes a purchase on your website and then signs up to product notifications – based on your own automation, you might send that customer a weekly digest of your latest products. When a subscriber clicks a link in an email, another workflow can be built on top of this for only those subscribers who clicked a particular link to send them related products in the same category. Automation is the key here – you want your email drip campaigns to continue driving customers back to your business without needing to constantly monitor their individual engagement. Most businesses these days have multiple social media accounts which they manage, and let’s be honest, it’s a pain when you have to remember which content needs to be posted and on what social networks. Buffer has eliminated this problem for many businesses – at the beginning of each week you login to your buffer dashboard and queue up a whole heap of posts for that week. Set and forget. There is also the added benefit of buffer analytics which can help you determine the best time of day to post content so it will reach and engage with the highest number of people in your audience. If you’re someone who struggles to write code or knows next to nothing about updating your website, then LeadPages offers one of the neatest and easiest solutions for capturing new leads and subscribers on your website. LeadPages does offer a premium integration with salesforce which has a price tag in their premium package of $199.00 p/m. We’re working on a budget here, so we don’t want to go blowing our whole budget just to sync new leads into our CRM system. 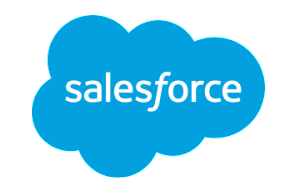 One solution which we’ve now used multiple times across different platforms is the “Mailchimp Double hop“, which allows us to sync new leads from Mailchimp subscriber lists direct into Salesforce. It might not be the prettiest solution, but hey, it works and it’s at the right price. This isn’t for everyone as we’re not all sitting in from of our computers. For anyone who is, Zopim offers their live chat platform free to everyone. While there is a paid option, it’s also a great place to start and test out if live chat is for you. Example: Let’s say you’ve noticed a customer is going through product after product in the same category. Rather than letting them leave, hit them up with a chat request asking if they need any help. What’s the total cost ? So the total cost for these affordable inbound marketing solutions calculates to around $175.00 p/m or $2100.00 annually. For myself and many other SMB’s, that’s pretty affordable to have near enterprise grade inbound marketing solutions with what i would consider at times, better flexibility to customize each system to suit your exact needs. I do hope you enjoyed reading and this was helpful in your future implementations – Feel free to post any questions or comments below!